Melon de Bourgogne. Photo courtesy of Eyrie Vineyards / David Crug. Melon de Bourgogne has flown under the radar for years. Though it’s native to Burgundy, it struggled and failed to compete with Chardonnay in the region. 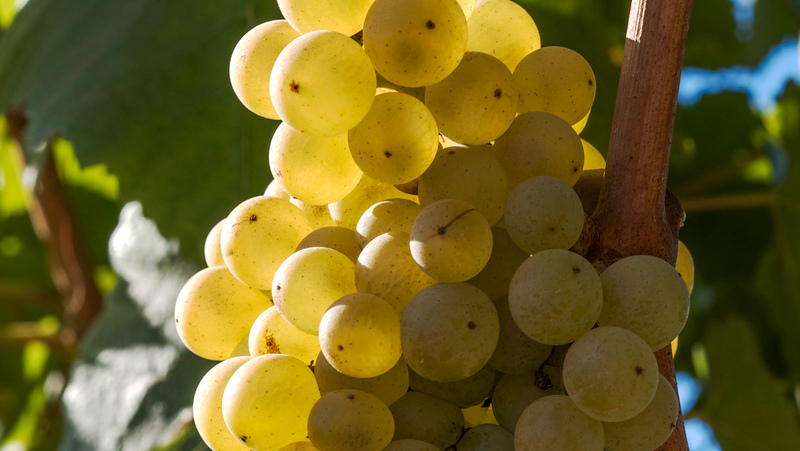 Eventually adopted by winemakers along the western edge of the Loire Valley, Melon, even in their vineyards, is better known by the name of its signature wine—Muscadet. 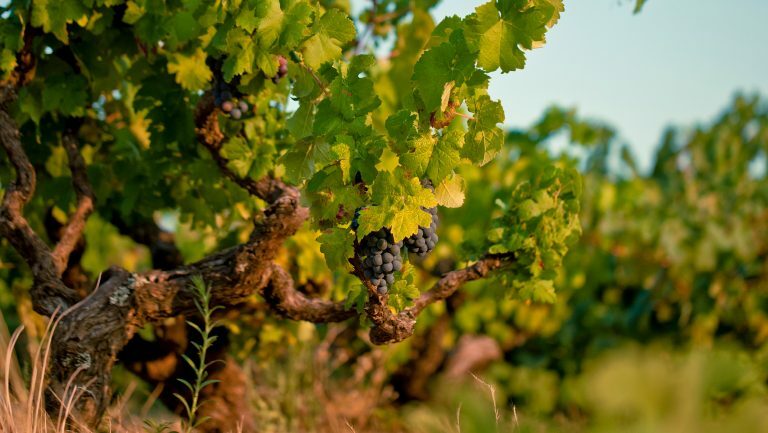 Though more and more Muscadet producers are striving to make quality wines that transcend retail bargain bins and oyster-pairing specials, a group of American vintners think that they might be the ones to bring Melon de Bourgogne into the spotlight. The U.S. is home to a small but noteworthy Melon de Bourgogne movement. A number of winemakers in the Willamette Valley are creating Melon wines that are sophisticated and worthy of reflection. And there are others producing it up and down the West Coast, from Marrowstone Vineyards in Nordland, Washington to Lieu Dit in Santa Barbara, California. From new plantings to 50-year-old vines previously mistaken for other varieties, Melon de Bourgogne in the U.S. is being heralded for its neon-bright acidity and textured mouthfeel. Consumer interest has also grown. By 2018, PDX Wine’s Muscadet case sales had nearly doubled from their 2012 levels, increasing from 191 to 355 cases. This is not only because of the rising quality of the wines made in Oregon, says Wheeler, but because local producers have been raising awareness of the Melon de Bourgogne grape. Anne Hubatch, the winemaker for Helioterra Wines in Portland, has made Melon in Oregon since 2012. 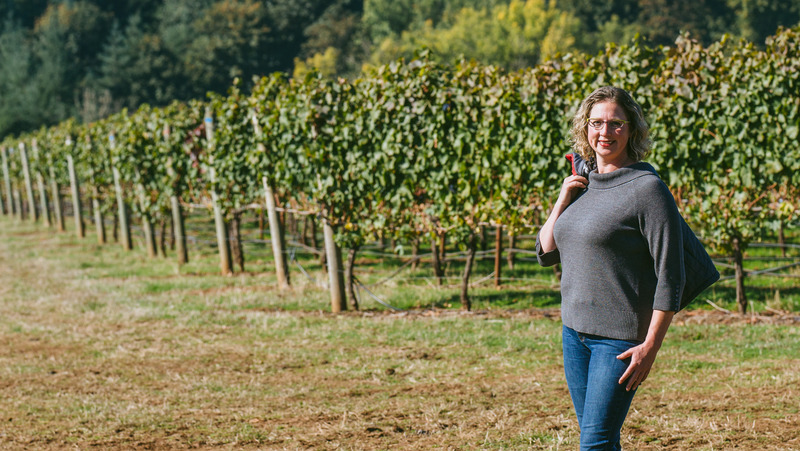 She stumbled onto the grape during her tenure at Dobbes Family Estate in Dundee and still recalls how lively, structured, and bracing the wine was. 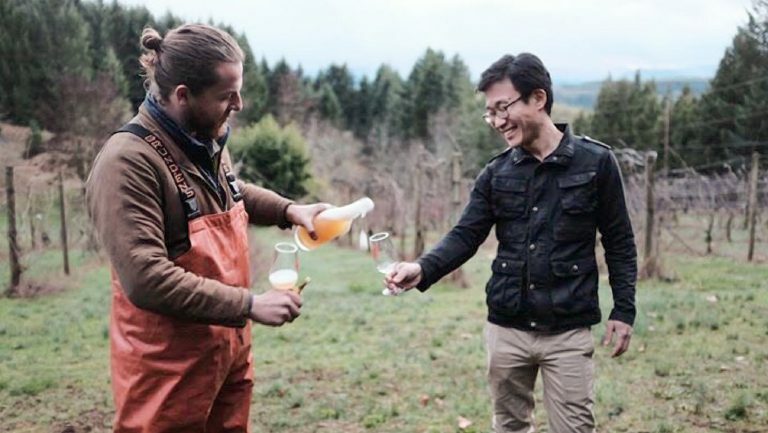 Today, Hubatch makes nearly 300 cases of Melon de Bourgogne annually under the Helioterra label, splitting a three-acre block at Stavig Vineyard with John Grochau of Grochau Cellars—another promoter and producer of Melon—in nearby Happy Valley. Anne Hubatch, winemaker at Helioterra. Photo courtesy of Helioterra. Although the grape may recently have come into the spotlight in Oregon, Melon has been present—though not well known—in the Willamette Valley for decades. 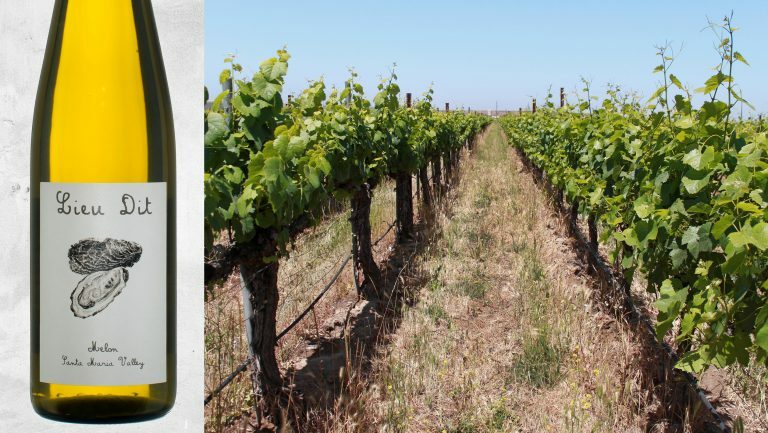 Iconic producer Eyrie Vineyards planted its original vineyard with Pinot Blanc, Pinot Noir, and Chardonnay in 1965, but later analysis revealed that some of the Pinot Blanc was actually Melon de Bourgogne. Fruit from the old vines planted in this original vineyard still goes into the Eyrie Vineyards Melon de Bourgogne. Melon de Bourgogne vines. Photo courtesy of De Ponte Cellars. Jason Lett, the second-generation winemaker for Eyrie Vineyards, has been in the Willamette Valley long enough to see winemaking trends come and go, but he’s confident enough in Melon to have doubled Eyrie’s plantings to nearly a full acre—a small but significant endorsement (and a pricey one, costing around $50,000, according to Lett). The yields from his 54-year-old vines are limited, but Lett expects to increase production from 25 to 150 cases of Melon per vintage. 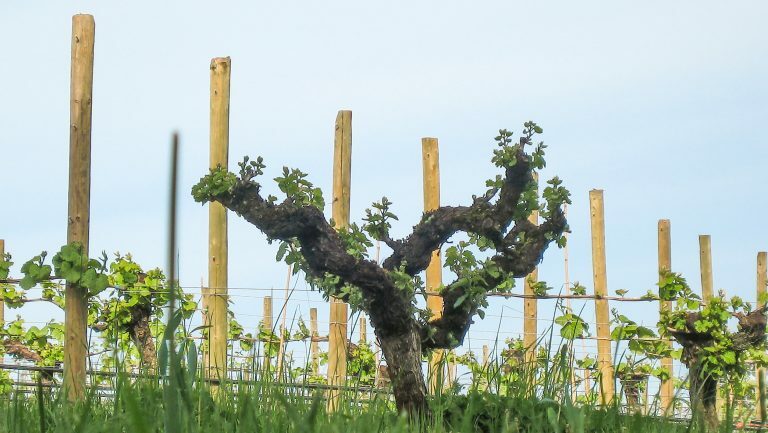 Careful cellar aging may create a domestic version of Melon with more resonance—for instance, Lett believes that Eyrie Vineyards’ Melon needs a minimum of two years in barrel to show its best. By treating Melon de Bourgogne as a top-tier variety, Lett sees an opportunity for domestic producers to coax out the grape’s true potential. 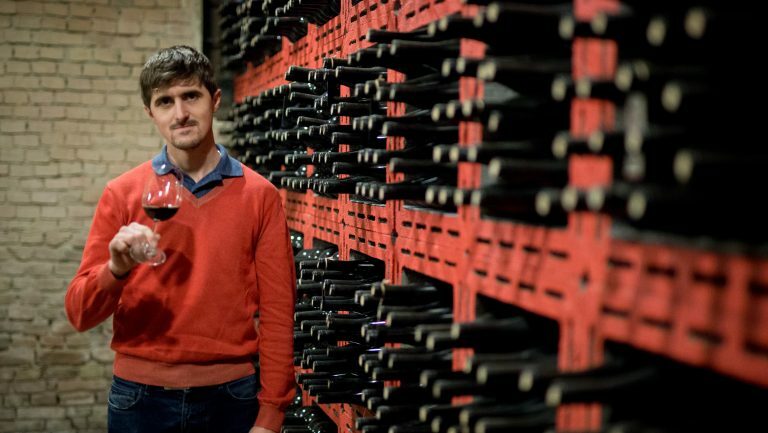 “I don’t think we should try to compete with the Loire on price,” he says. “Their yields are about three to four times our potential, and [in general], they make it very cheaply and push it out the door as soon as fermentation finishes.” By elevating the quality of New World Melon de Bourgogne overall, producers hope to persuade consumers to invest in a $25 to $45 domestic bottle over a $12 Muscadet. Photo courtesy of Lieu Dit. The American Melon de Bourgogne revivalists don’t just reside in Oregon, though. Scott Schultz, the winemaker for Jolie-Laide in Sebastopol, California, has been working with Melon since 2015 and made 400 cases in 2018. He sources fruit from the famed Chalone Vineyard in Monterey County, where once again, some of the vineyard’s Pinot Blanc planted in 1985 was actually Melon de Bourgogne. “I think it has a ton of potential,” says Schultz. “It’s crispy and flinty and has all the stuff I like in a white wine.” The self-described Francophile fell for the grape earlier in his career, when he worked in restaurants. Though New World Melons like the one from Jolie-Laide are tailor-made for the culture of the curious sommelier—with the layered, developed flavors and mouthfeel of aged Burgundy or Alsace wines—Schultz is pleased that consumers, too, are less myopic these days and willing to embrace wines like Melon. But there are challenges as well. Schultz says the variety is prone to disease at the Chalone Vineyard site, and the Melon name isn’t widely recognized. The fruit is also expensive, despite the $26 retail price of the Jolie-Laide Melon de Bourgogne. At that price, the wine is far from lucrative, but it sells out every year. In a quest to make more Melon, Schultz is looking for additional vineyards with Melon plantings in California’s Sierra Foothills and, potentially, Oregon. 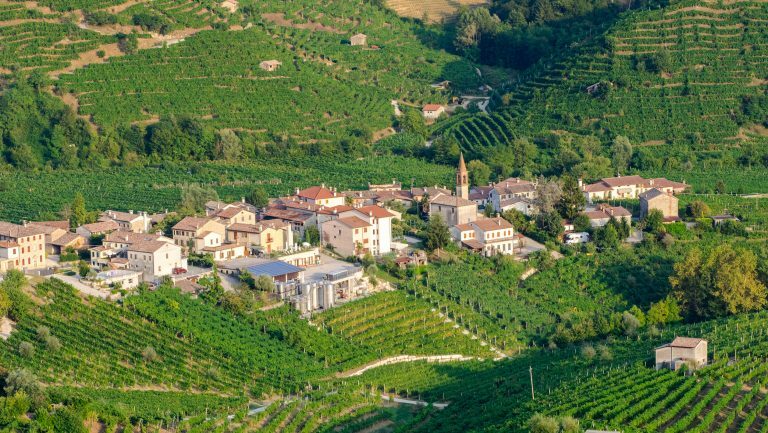 He finds the latter prospect especially attractive, as there’s more vines available and the cost of land isn’t prohibitive. Schultz is also drawn to working with multiple sites because of Melon’s tendency to exhibit terroir. “Melon has an ability to [express] soil really, really well,” he says. That could create chalky wines from California limestone and decomposed granite, and zippy, mineral-driven wines from the Willamette Valley’s marine sedimentary soils.